RealVNC will be attending the Service Desk and IT Support Show (SITS 2018) in London at Olympia and we would love to see you there. This year our stand is dedicated to service desk superheroes like you. Stop by to see the capabilities of our VNC Connect remote access software and our integration with a range of service desk solutions. We have launched a major new service desk initiative to certify VNC Connect with industry leading service desk solutions to improve the efficiency of your service agents. 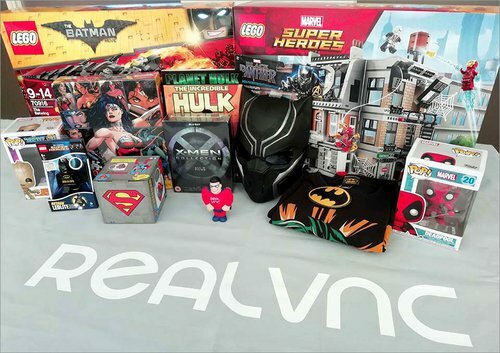 During the show we’ll be giving away a MARVELous super-hero swag box worth over £200 and an Infinity War LEGO set, so make sure to stop by for a chance to win one of the prizes. You can learn more about the show and register directly on the SITS event website. If you can’t attend the SITS show, you may want to read our new service desk integration blog post. If you would like to arrange an advance appointment, either on the 5th or 6th June, simply complete the form below.